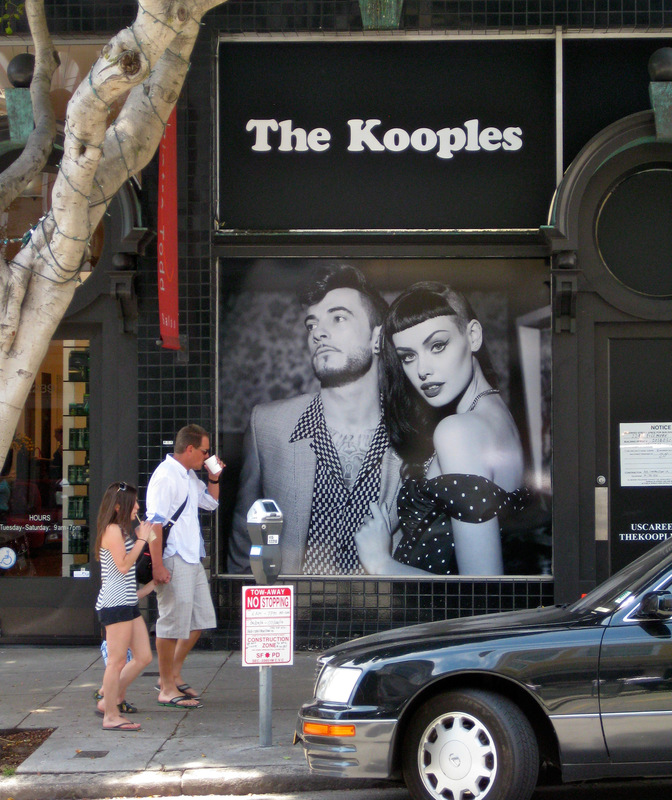 The Kooples, now under construction at 2241 Fillmore, has more than 300 clothing boutiques worldwide but only six free-standing stores in the U.S. and therefore is not considered a chain. FILLMORE STREET CONTINUES to remake itself into a mecca of high-end fashion labels from around the world, despite the city’s professed intent to limit chain stores in neighborhood shopping districts. Partly that is because the rules limiting “formula retail” — defined as companies with 11 or more stores — do not include stores outside the U.S.
An attempt to change the rules to include international stores and spinoffs of existing chains was put on hold last year when the Planning Department commissioned a study of the issue. Now the Berkeley consulting firm conducting the study, Strategic Economics, has produced a draft of its final report, which will be the basis of policy recommendations to be presented to the Planning Commission on May 22. The report includes detailed case studies of three neighborhoods, including the Upper Fillmore Neighborhood Commercial District, stretching from Bush to Jackson Streets. The other neighborhoods included in the study are Ocean Avenue and a portion of outer Geary Boulevard. More than half of the stores now operating in the neighborhood sell apparel and jewelry or other accessories, the report finds, and many are formula retail. • Local residents and merchants have noticed a decline in the number of businesses in the district that serve residents’ daily needs. • The decline in daily needs-serving retailers and service providers reflects the fact that these businesses tend to have lower profit margins than stores that sell what are called “comparison goods” sold in many stores. • Some community members have raised concerns that formula retailers are less engaged with the community than independent retailers. • Rents are increasing rapidly and there are few if any long-term vacancies in the district. • High rents and the need to pay “key money” to secure space make it challenging for new daily needs-serving businesses to locate in the district. The study finds that the formula retail ordinance has been successful in discouraging chain stores from locating in many of the city’s neighborhood shopping districts, and that the ordinance may help reduce rents for independent retailers in some areas. But it notes that has not been true on Fillmore, where the demographics are more desirable, and where international brands have been able to avoid the rules.